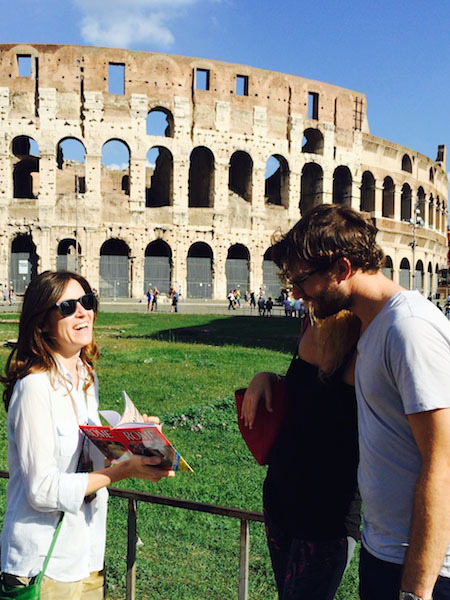 This time Nicole suggested we joined her on a tour of the Colosseum. I have to admit I had seen the Flavian Amphitheater - as the Colosseum was originally known – many times before. However, after visiting it again with Nicole I realized that until then I had just looked at it passively, without understanding much of it and without the experience of learning the history, the tales and anecdotes that make of this ancient monument something more than an attraction for tourists. This monument was the center of the Ancient Rome apporoximately 2,000 years ago, so alive and crowded with people.